It is not known why Heyer published Jettan under a pseudonym. Jennifer Kloester offers several theories, all of them good, and among the usual reasons why authors have used pseudonyms even till the present day. Perhaps Heyer, having published one rather serious historical novel in Roxhythe, and working on a contemporary novel, Instead of the Thorn, which also addressed serious subjects, did not want the lighthearted Jettan to be unfavorably compared to these other works, or give readers the wrong idea about the kind of novels she wrote. All during her writing career, Heyer struggled with the fact that her books, however popular, were not taken seriously, and wanted to write serious historical novels. It’s very possible that at the beginning of her career, she was trying to establish herself as a serious author. A Pan edition of the novel, looks like from the 50s or 60s. Swashbuckling! 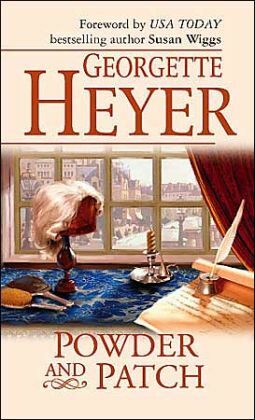 Another of Kloester’s theories is that Heyer simply had too much output. She already had a publisher waiting for her to finish Thorn when she was struck by the inspiration for Jettan and wrote it in three weeks. That is simply the hallmark of an author who can’t not write. There she was with a lighthearted romance set in mid-18th century England and France with a publisher waiting for a contemporary novel–what else could she do? It is not known whether the publisher of Thorn even knew about Jettan, which was the only novel Heyer ever published with Mills and Boon. (M&B was more of a general publisher in those days, and didn’t have the romance-centric catalog it has today.) That’s still a problem today. Publishers do not allow authors to publish too often (though that is slowly changing); in fact, it’s usually in the publishing contract that the author cannot publish other books at the same time that might be competitive. Many well-known authors faced with this problem have resorted to using a pseudonym, openly or not. For instance, Stephen King, who has always been a tremendously productive author, published several books under the pen name Richard Bachman. The secret came out, and the books are now available under King’s name. Some authors use a different name when switching genres–for instance, romance author Nora Roberts publishes police procedurals under the pen name J.D. Robb. In that case, it’s not a secret; it allows Roberts to brand her books that are not in her usual genre. In Heyer’s case, I suspect it was a combination of all of these reasons–competition with her contemporary novel, not wanting to have two books published too closely together, and an attempt at separating genres. * However, as Jane Aiken Hodge pointed out, Jettan was perhaps the beginning of the path that Heyer would eventually follow, leaving books such as Roxhythe and Thorn behind. The novel begins with the history of the Jettans, bringing us up to about the 1750s and the present squire, the widowed Sir Maurice, who had a misspent youth in London and Paris, but has settled down in the country, raising his son Philip at his estate in Sussex. Philip scorns everything fashionable, and to his father’s despair, is countrified and bumptious. He falls in love with Cleone Charteris, a neighbor’s daughter, and wishes to marry her. Cleone, however, is not quite ready to settle down, and flirts with a Mr. Bancroft, the son of a another neighbor, who is rusticating after fighting a duel. Mr. Bancroft is all that is fashionable and fabulous; Philip is jealous and challenges Bancroft to a duel. As he has scorned taking fencing lessons, Bancroft pinks him. Philip nonetheless proposes to Cleone, who tells him to come back when he has learned to be a gentleman. Sir Maurice agrees that Philip needs some polish, and sends him off to Paris, where he learns to dress, speak French, fence, and flirt, while never forgetting Cleone. Cleone goes to visit her aunt in London, where she encounters the transformed Philip. He still loves her, but also still wants her to want him for himself, not for his polish. The story is hugely entertaining and very much in the vein of Heyer’s later Georgian-set novels, with the swashbuckling flavor of The Black Moth. However, there were some parts that were a little cringe-inducing for a 21st-century reader. There is one scene late in the book in which Cleone’s aunt is advising Philip in his campaign to win Cleone. She basically says to him that when Cleone says no, she means yes, and he should be “brutal” in overcoming her objections. From a modern perspective, this is troubling, but then my last re-reads of Pride and Prejudice and Mansfield Park left me troubled by all the times Elizabeth Bennet and Fanny Price say “no” and men don’t accept it, so my consciousness has been thoroughly raised, I suppose. 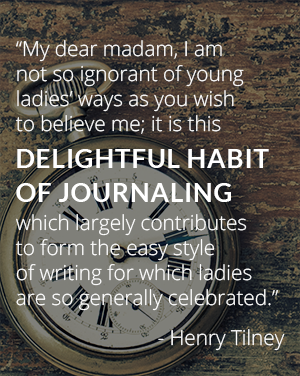 One is tempted to chalk this up to clumsiness by a young author–Heyer was still only 20 years old when she wrote this. But Cleone and Philip are rather young and silly and overly dramatic, and the older characters, as well as the narrator, know this and are amused by it, which is remarkable from such a young author, so that’s not an excuse. I think this is just another of those things that we have to chalk up to “things were different back then.” And Cleone really did want Philip to “brutally” overcome her objections–to be “masterful” as Heyer calls it. And maybe those particular word choices and manner of description are both the mark of a youthful author and of a different time. Anyway, the book is a quick and enjoyable read–as Heyer herself called it when inscribing her father’s copy, “an elegant trifle.” It’s interesting to note than an older Heyer left it in print and suppressed Roxhythe and Thorn, though she did make a fairly substantial change to it–when Heinemann republished the book in 1930, it had a new title and was missing the final chapter. As both of Heyer’s biographers point out, the removal of the final chapter changes the feel of the ending. In the original, the final ending has our hero and heroine preparing to make a sensational splash in Parisian society. If one stops reading at the end of the originally penultimate chapter, it appears that they will stay immured in the British countryside. Hodge makes the perceptive point that in 1930, the time of the republication, Heyer had married and was living in the country, and perhaps that ending seemed to the older, wiser, married author more desirable than fashionable city life. Fortunately for interested readers, Shelagh Lewins found a copy of Jettan in the British Library and transcribed the final chapter, and has published it on her website, so modern readers get to make the comparison. For the purposes of this project, I was certainly interested, so thanks to Shelagh for the transcription! And that is why I decided to place this book in the order of its first publication, rather than the second publication which is the version currently available: I found the original, longer, pseudonymous publication more interesting for the purposes of my reading project, as well as the complicated story behind it. As a side note, I listened to Powder and Patch as an audiobook from Audible, read by Jamie Glover. He did an excellent job, particularly with the French (there’s a lot of it) and the French accents of various characters. If you like audiobooks, I recommend it. Next up, Instead of the Thorn, which I picked up from the library on Saturday…but I might do something completely different (to quote Monty Python) first. *Granted, in those days “genre” wasn’t as compartmentalized and rigid it is today, but Jettan is certainly a different kind of book from Roxhythe and Thorn, and it appears Heyer’s ambitions lay in the latter direction at that time. Thank you for posting this. I’ve just now read the original ending, and am so glad that I did. I have a fond spot for Powder and Patch, and always felt that it ended too abuptly. Now that I’ve read the original ending, I find myself more satisfied with it than the current one. It always bothered me that Phillip seemed to give up something that he’d found, in the process of teaching Cleone a lesson, that he truly enjoyed. It seemed that Cleone, in “submitting” to Phillip’s desire to live in the country, was punished for originally not accepting Phillip at face value–even though most of the book was devoted to his finding that he did thrive in the Parisian ton. The lightheardedness of the dialogue and plot ended oddly with a moral, as pointed out above, that country life was more preferable, but the lesson seemd at odds with Phillip’s discovery of a more rounded self in Paris. The original ending, taken in concert with the love resolution of her willingness to live with him anywhere (the original second-to-last chapter, which is now the final chapter, if I’m not too confused), seems to suggest that a balance is possible. Since Cleone and Maurice have both susupected Phillip of living an unfulfilled life, and have made it possible for him to fuffill it, why not reward them both, and, thereby, all three? I realize this post was a while ago, but thanks for the background, insights and above all that wonderful original final chapter! 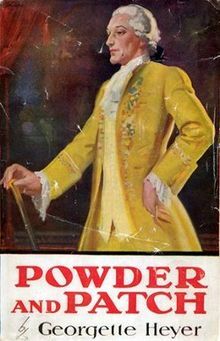 I borrowed this book as a college student but never owned a copy of my own; I confess that Powder and Patch is the one Heyer novel I found forgettable. I re-read a Kindle version of the 1930 reprint recently and still found Philip and Cleone a bit tiresome, but the older-generation characters had real wit and depth. And what a pity that the original final chapter was omitted. Without it, the book is way overbalanced with all the taming-of-the-minx stuff that reads so poorly now. But that “lost ending” puts such a fresh and funny spin on the whole premise. 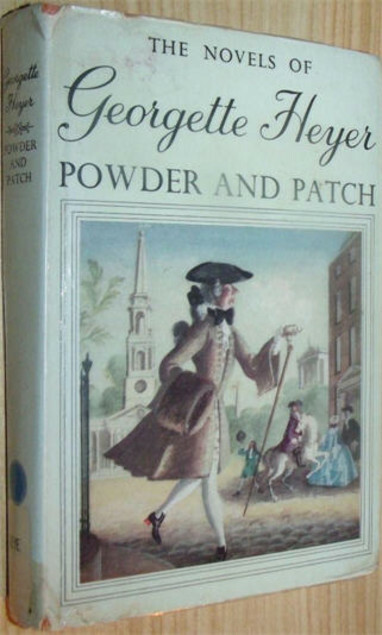 Overall, Powder and Patch was a bit better than I remembered, and I love the glimmers it shows of the much more confident writer Heyer would become.